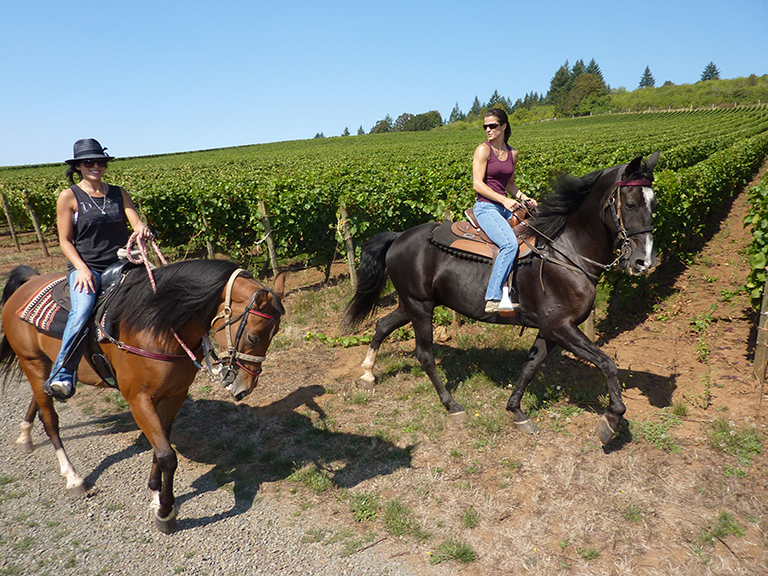 Explore the beautiful Oregon wine country by horseback. No experience necessary, but a sense of adventure is required. Take a comfortable ride through the famous Red Hills of Dundee winding through the vineyards and sipping fine Oregon wine along the way.